Dead of Winter helped propel indie board game darlings Plaid Hat Games into the spotlight. While an expansion has been a no-brainer, and one was even announced way back in February, there hasn’t been much new on Dead of Winter of late. Well, that changed during both BGG.con and on the latest Plaid Hat Games podcast. There’s a reason for the long wait for new Dead of Winter content: It’s going to be a big box stand-alone expansion. 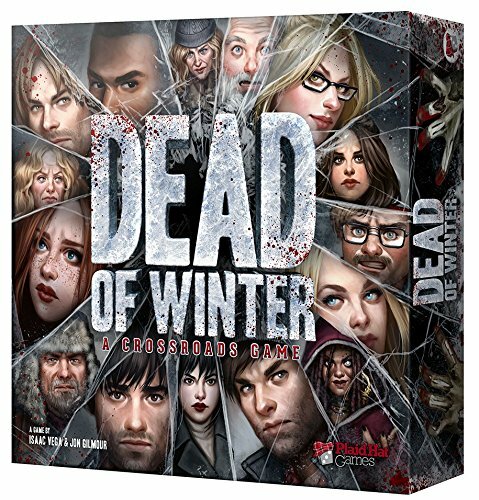 Originally, the Dead of Winter expansion was planned as a tidy add-on to the base game. Though it was being developed by Jonathan Gilmour, some scheduling conflicts had the projected moved to Isaac “Ashes” Vega. It’s since grown and is now going to be a stand alone game, expected for release at GenCon next year. A stand alone game means that you don’t need to own the base game in order to play it. However, if you do own the base game, you’ll be able to merge the two into an epic experience. Ultimately, this means you will get a full game’s worth of new characters, scenarios, and Crossroads cards. Pretty awesome.